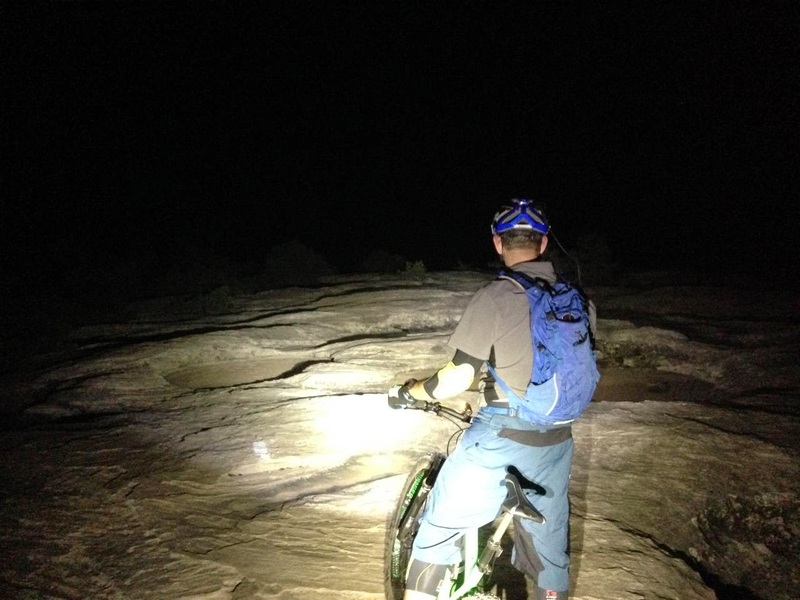 While helping out with the Utah High School Mountain Biking League Championships this last weekend, we visited Gooseberry Mesa Friday night. We had several bikes at our disposal, but heard about how the conditions were perfect for a fat bike. Transitions from sand to steep technical climbs are definitely best experienced aboard super chunky bikes. 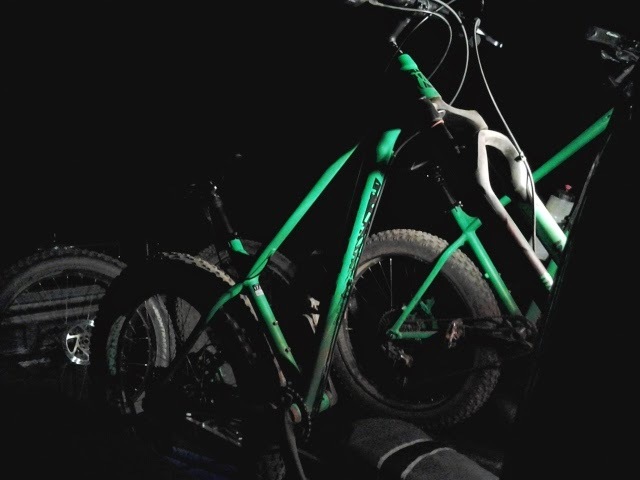 Because we had access to the new 2015 Trek Farley 8, that was our choice of steed. It comes equipped with through axles, 1x11 drive trains, and the first suspension fork designed for chubby tires, the RockShox Bluto. The only thing the bike didn't come equipped with for a standout Gooseberry ride is a dropper seat post. We took care of that before we left though. Even with many hours exploring the Goose, it is a completely different animal at night. It is also drastically more difficult to follow painted dots when your vision is limited to a somewhat narrow beam of light. Part of the fun was the adventure of trying to follow the trail. Part of it was the adrenaline rush of stopping just short of launching over a cliff. It was certainly my best ride on Gooseberry Mesa. I can't argue that I was any faster on the Farley 8, but I didn't feel like I was limited or disadvantaged when looking at the overall experience either. We all had fat bikes, so the limiting factor was our personal fitness level. I knew that I would appreciate the fat tires in the sand and on the short technical climbs, but I found myself pushing the bike hard on the flowing singletrack and launching it off the ledgey descents. 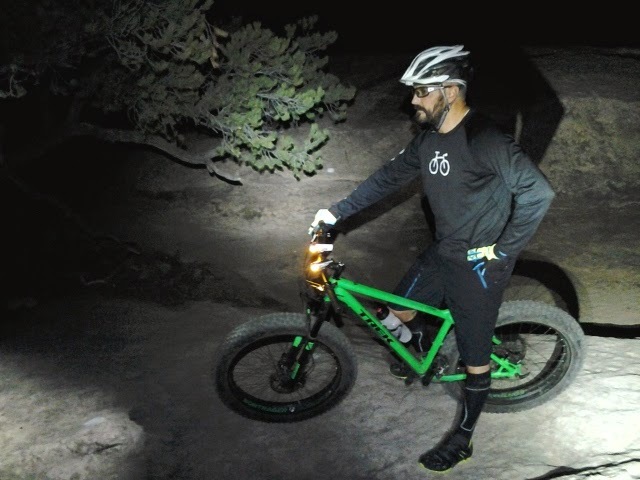 With the combination of hardtail efficiency and snappy handling plus the comfort and grip of super high-volume tires, it felt like I was getting the perfect mixture from the hardtail and full-suspension camps. I've ridden the Salsa Bucksaw in the dirt and whereas I enjoyed the bike, I felt you lost more than you gained with the rear suspension. That statement may have you questioning if my "everyday" mountain bike is a rigid steel frame or even short travel XC racer, but the last two seasons I've been on a Yeti SB-66 and currently am on a 650b Trek Slash 9. I definitely appreciate suspension, but with the efficiency lost with the extra drag and undamped squish of the behemoth tires I feel like the more lively pedaling of a hardtail accentuates the fun. I'm not a climber, as illustrated by my choice of primary bikes, but riding a fat bike makes the technical climbs fun. (Note that I specified technical, long sustained climbs will never be fun.) I found myself retrying any climb I wasn't able to make. However, especially as the night carried on, even more often I found myself making the climbs. Even after we came down through Hidden Canyon and rode the jeep road back, we were boosting off of the rocks and ledges. We pushed pedaled hard on the wide dirt road because we were still having fun. The Farley 8 welcomed wheelies and manuals, albeit short wheelies and manuals limited by rider talent. When we arrived back at the truck I was on a euphoric high which was only intensified by the sky's absence of light pollution. It doesn't matter how many times I see the Milky Way, it is always amazing. I will spend a fair amount of time on my personal Trek Farley this winter, but it may see as many trips down south as my main bike and roll some sand and slickrock. Plus, the slower nature of the Farley allowed us to see a ferret. (At least I'm convinced it was a ferret, others have argued it was a weasel.) The fat tires are drastically more stable and allow you to explore if you choose to investigate some eyes glowing from your lights. A fat bike can't be my only bike...yet, but I can now better understand the mindset of the heavily bearded. Me same too found myself retrying any climb I wasn't able to make. However, especially as the night carried on, even more often I found myself making the climbs. Fantasitc blog about fat bike! I have bough one from BestBikePicks.com and its perform is really great.